Turn the wheels to select the numbers. For use with an ink pad. Each 'band' contains 0-9 plus various symbols. Available with 4, 6, 8, 10 or 12 bands (wheels). 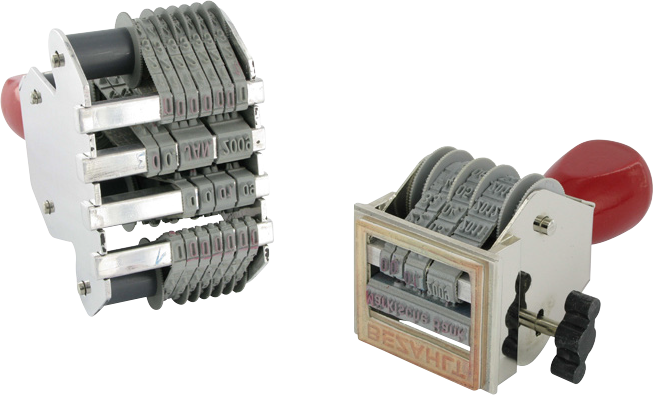 A-M or N-Z bands can be fitted in place of the 0-9 bands in any or all positions, please contact us for a price. Special band stamps like the ones shown below with your choice characters and fixed text are also available, please contact us for a price.